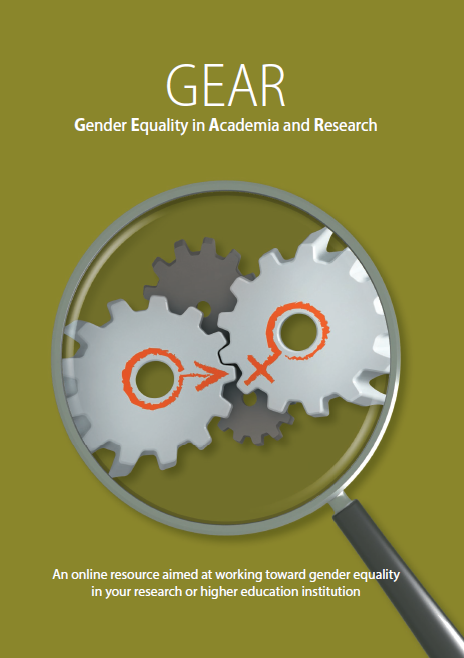 On October 20th 2016 the European Institute for Gender Equality (EIGE) officially released its new interactive toolbox for reinforcing gender mainstreaming in research and higher education institutions: the Gender Equality in Academia and Research (GEAR) tool. It is the result of the cooperation between EIGE and the EC’s DG Research and Innovation, and builds on the experience and knowledge of a number of projects, institutions and experts. The online GEAR tool, targeted at all staff, from the bottom to the top, working in research and higher education institutions, follows in the footsteps of other initiatives, such as the FP7-supported INTEGER project (and its Online Guidelines, released on April 2015) and the GENDER-NET ERA-NET, to offer a comprehensive step-by-step roadmap for implementing gender equality plans. The tool also proposes Background information, Practical Guides, Resources and Inspirational Examples to assist you in the process. The new GENDER-NET IGAR Video and online tool (Deliverable D3.11) are identified as helpful instruments, and can be found under the “Integrating the gender dimension” section (see link). To learn more about the EIGE toolkit, and check the short guide and watch the promotional video.